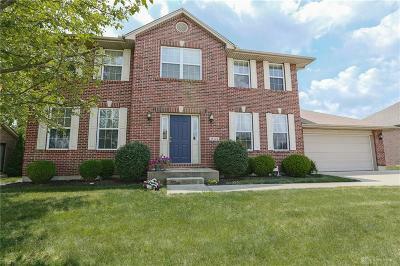 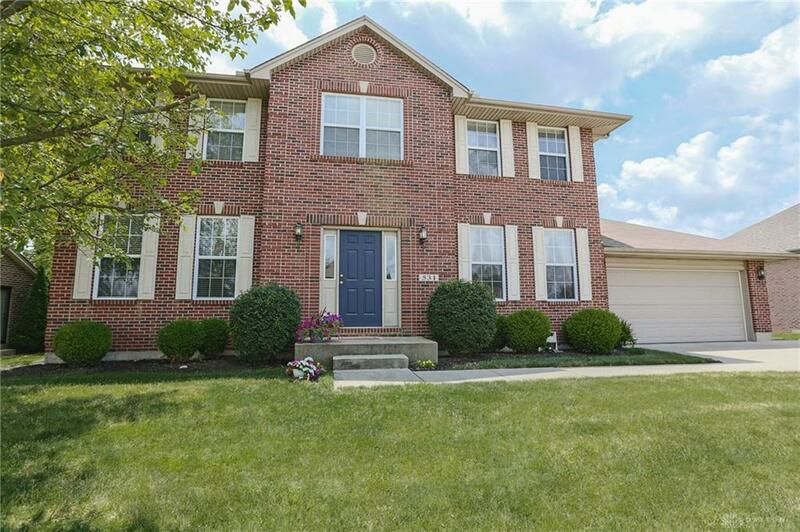 Welcome to a Stunning Custom-Built Two-Story Residing in the desirable Glenridge Community of Clearcreek Twp! 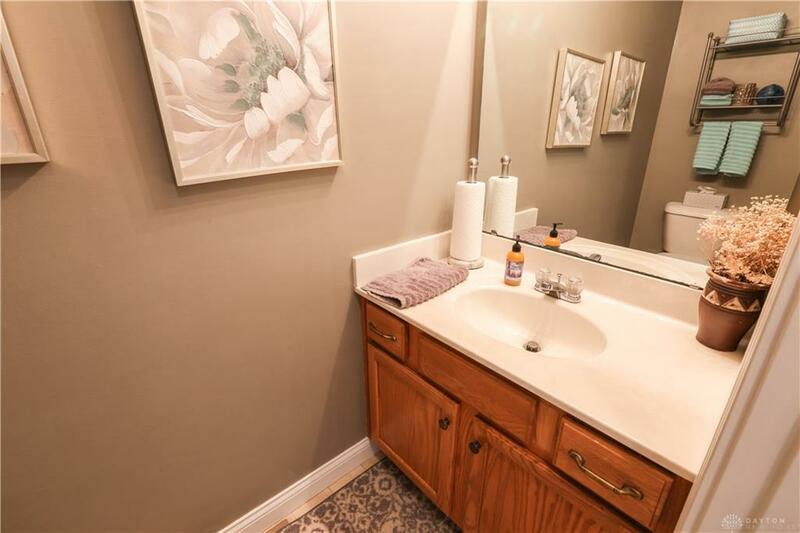 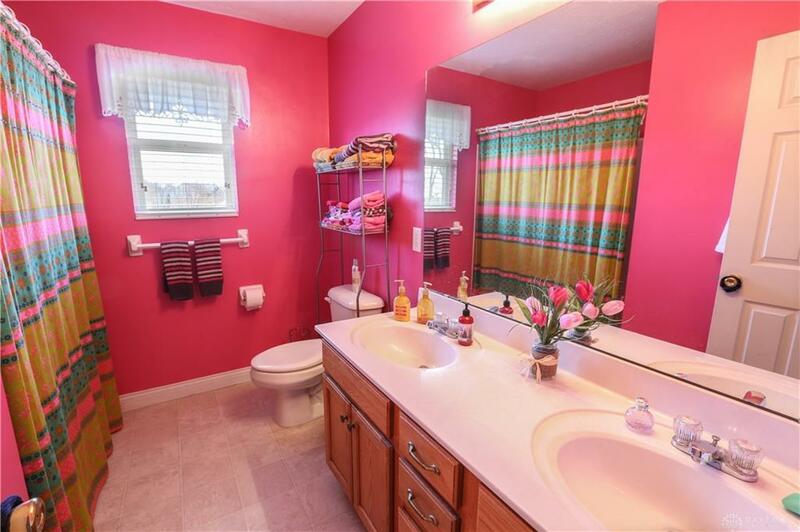 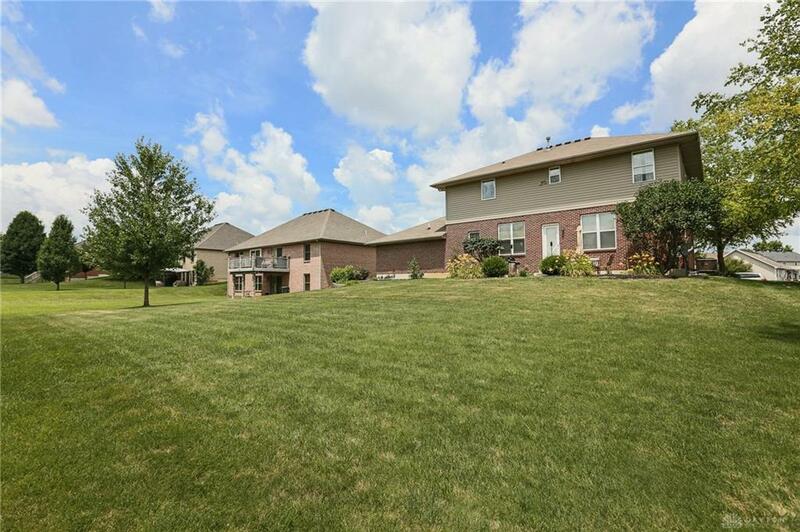 This Beautiful Home offers 4 Beds, 2.5 Baths & over 2,500 Sq. 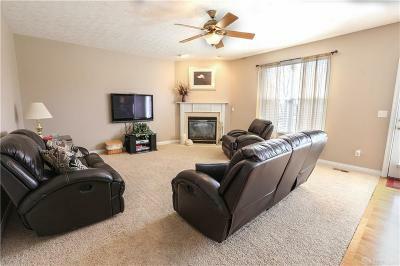 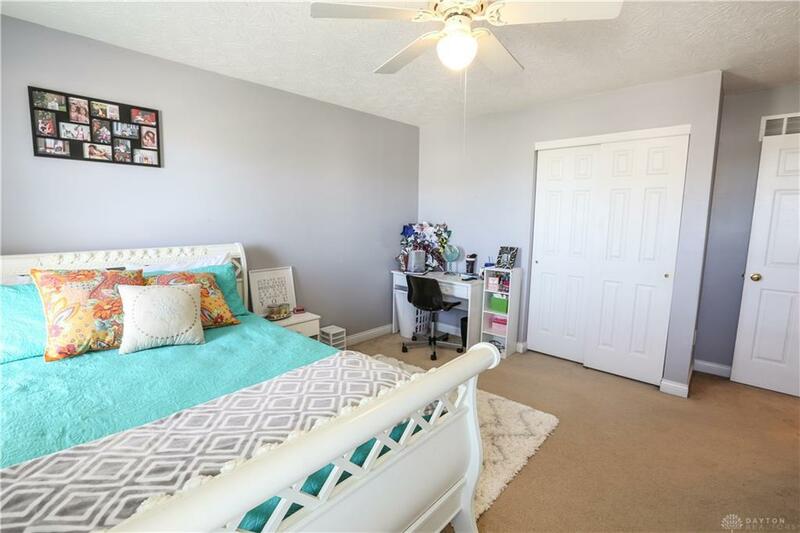 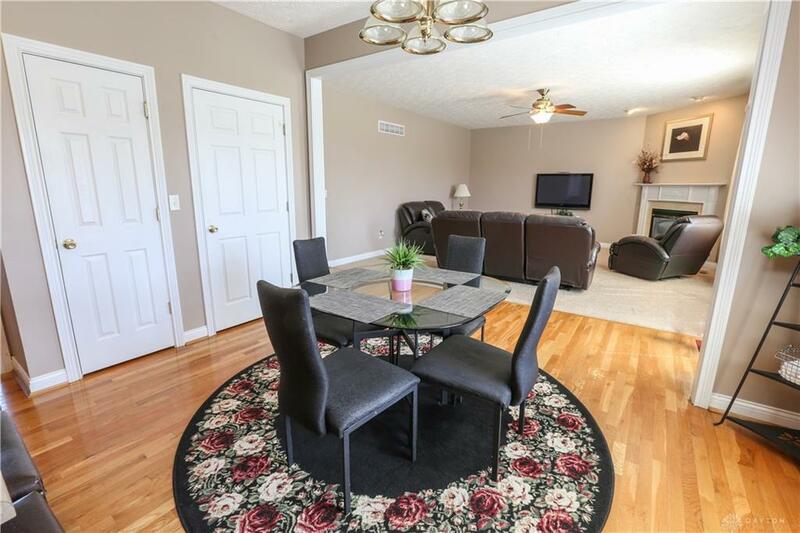 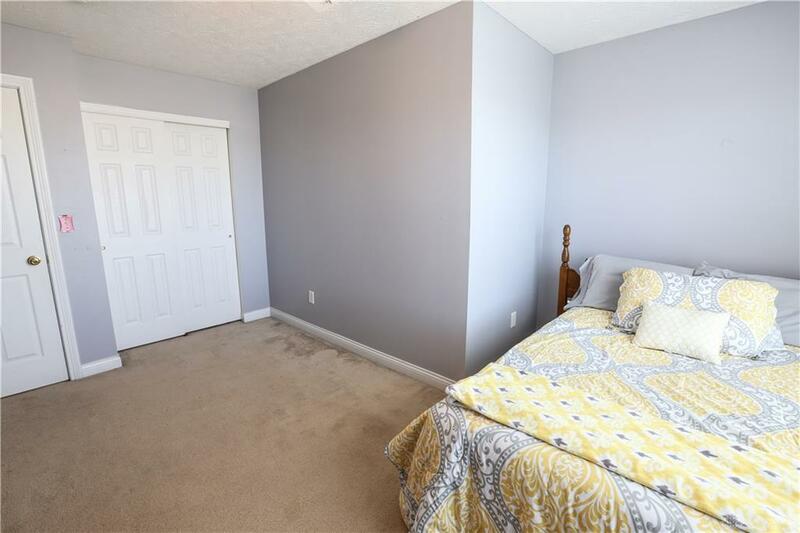 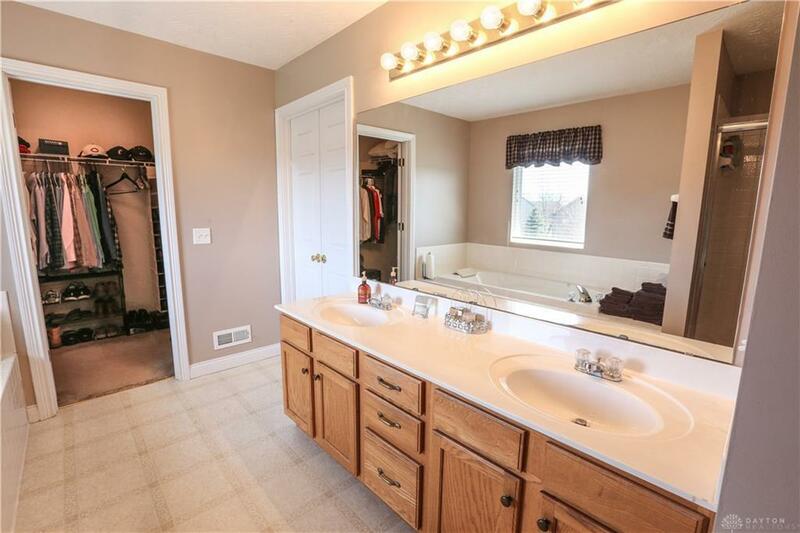 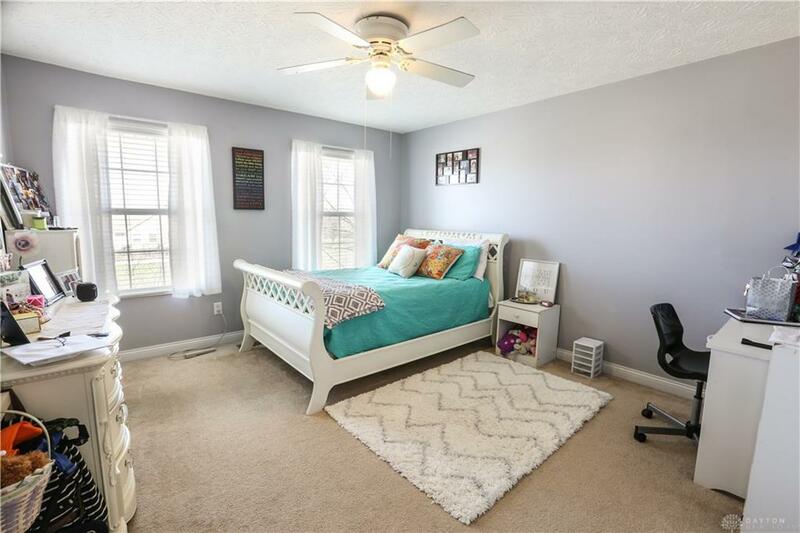 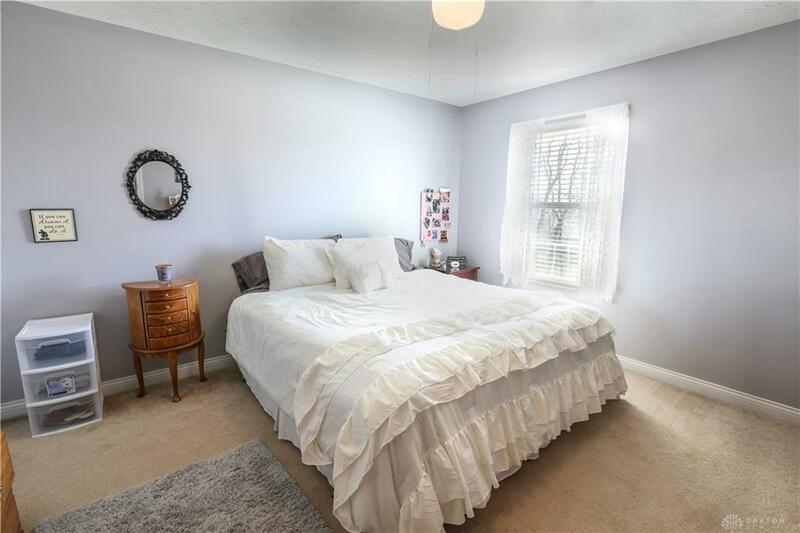 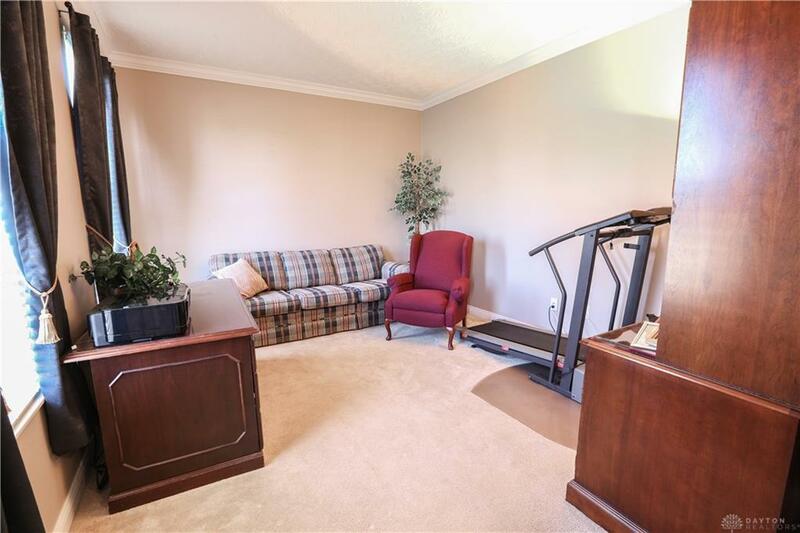 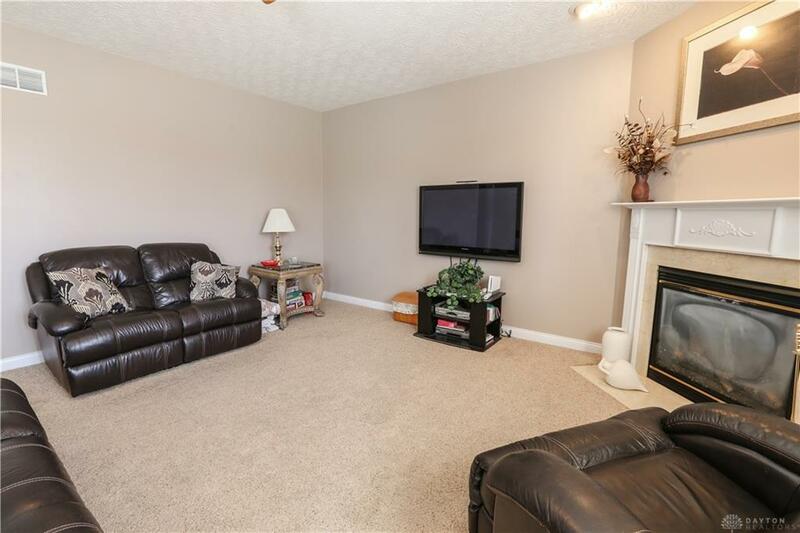 Ft. of Living Space including a Dining Room, Kitchen w/Breakfast Nook, as well as Full, Unfinished Basement! 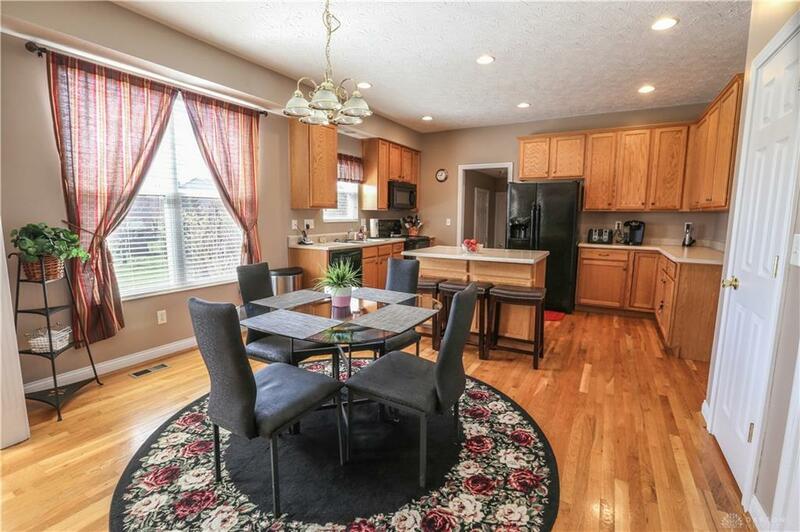 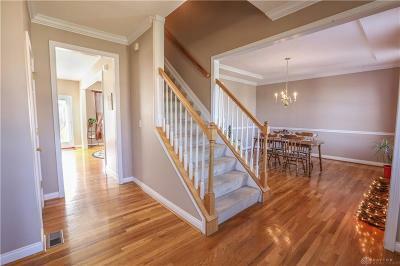 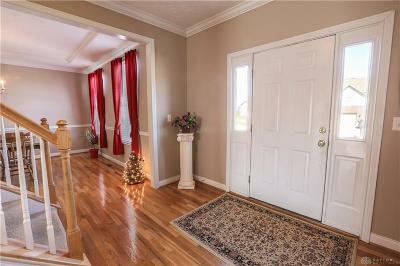 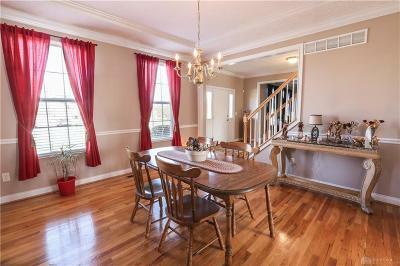 Fall in love with the 9’ ceilings, hardwood flooring, grand staircase and an open floor plan. 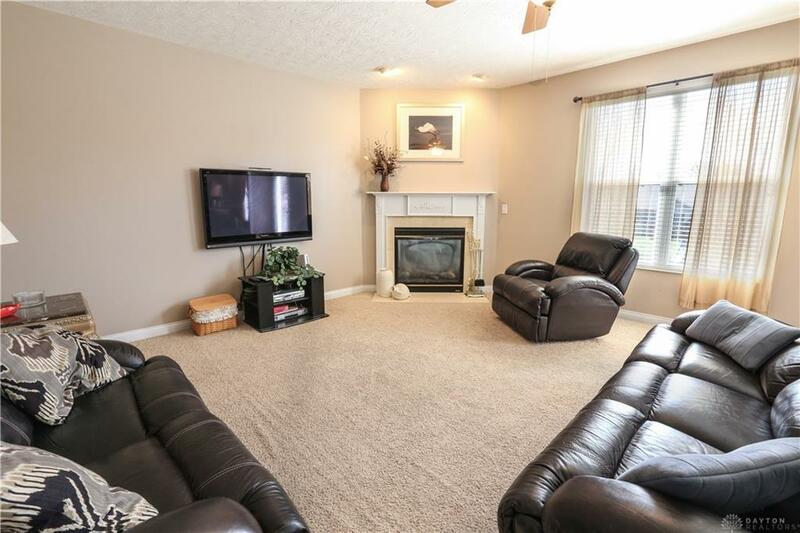 The Family Room offers a gas fireplace, recessed lighting, paddle fan, updated painting & access to the back patio. 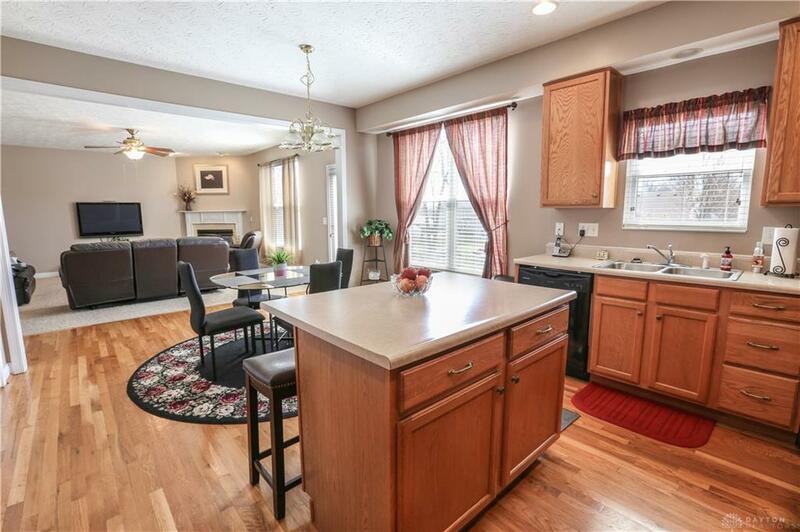 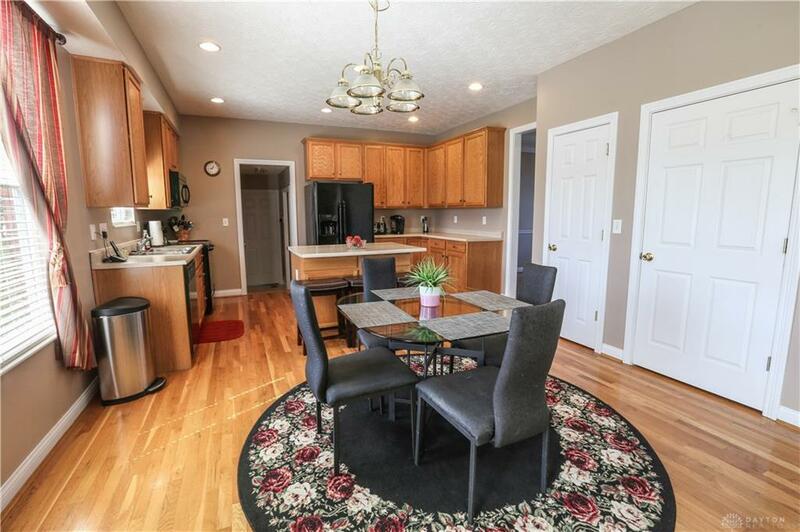 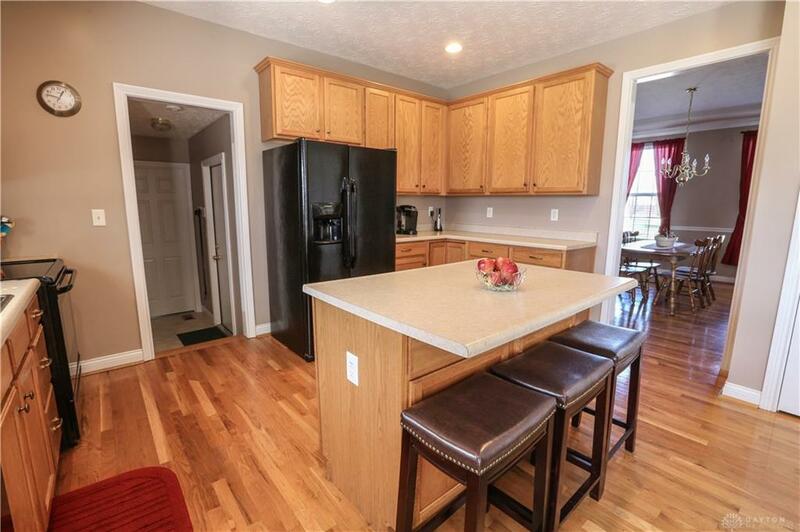 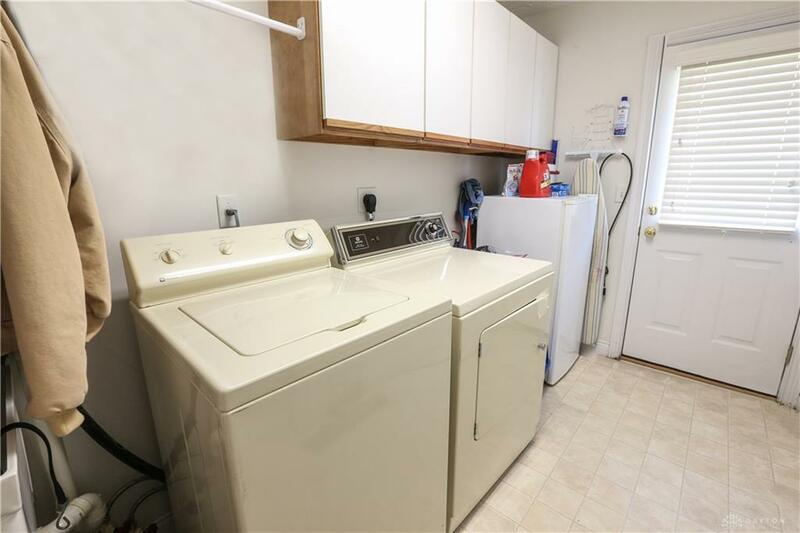 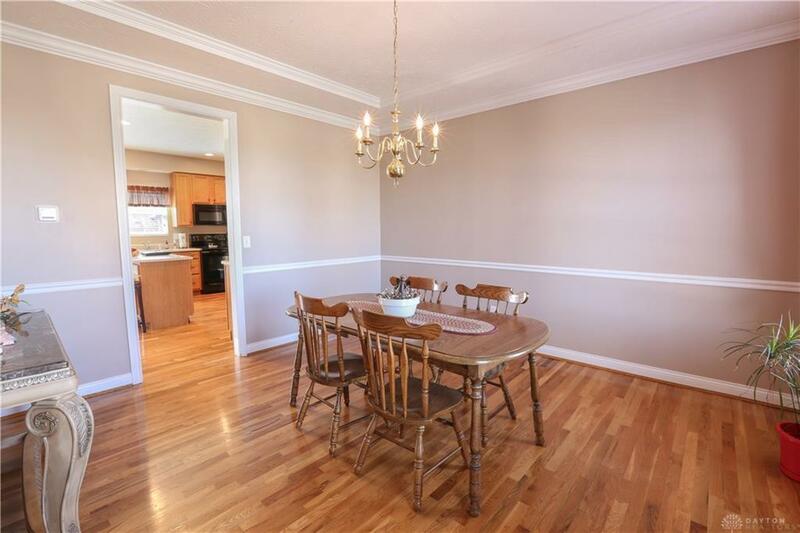 The Kitchen offers hardwood flooring, oak cabinets, recessed lighting, updated kitchen appliances & pantry storage. 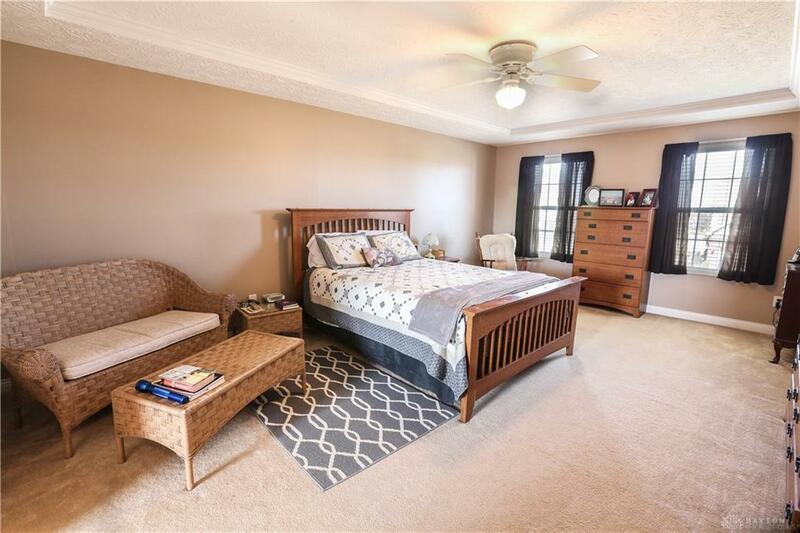 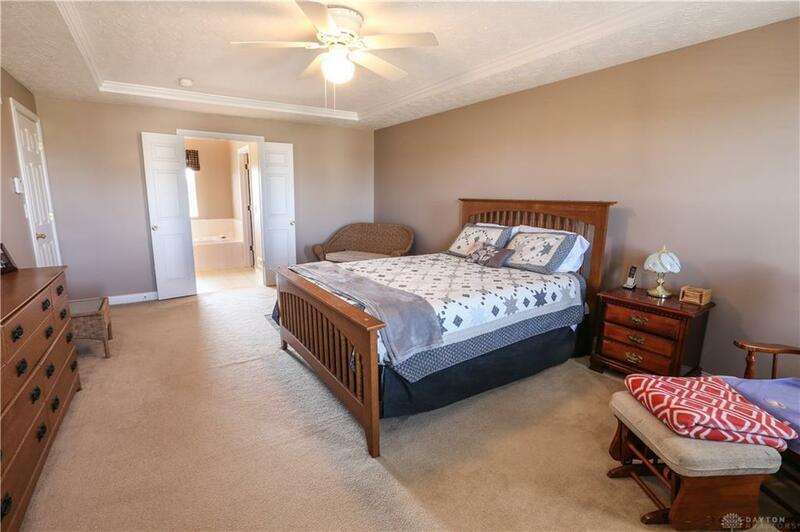 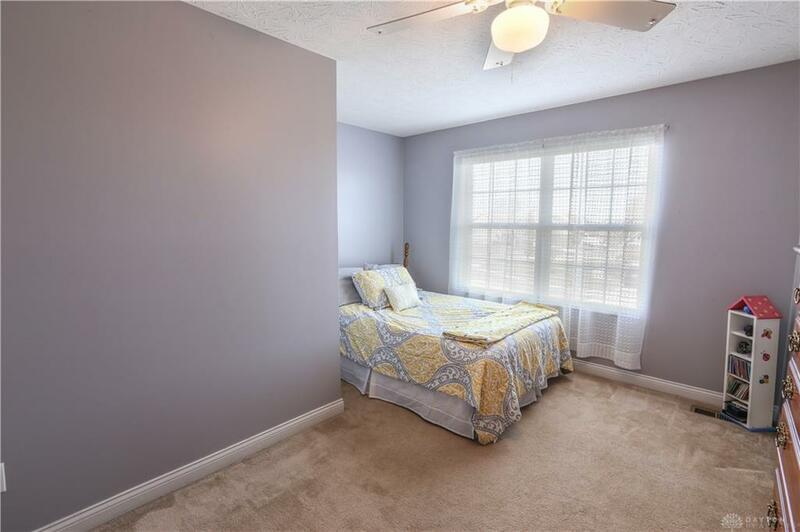 The Master Suite that features tray ceiling, large windows & paddle fan. 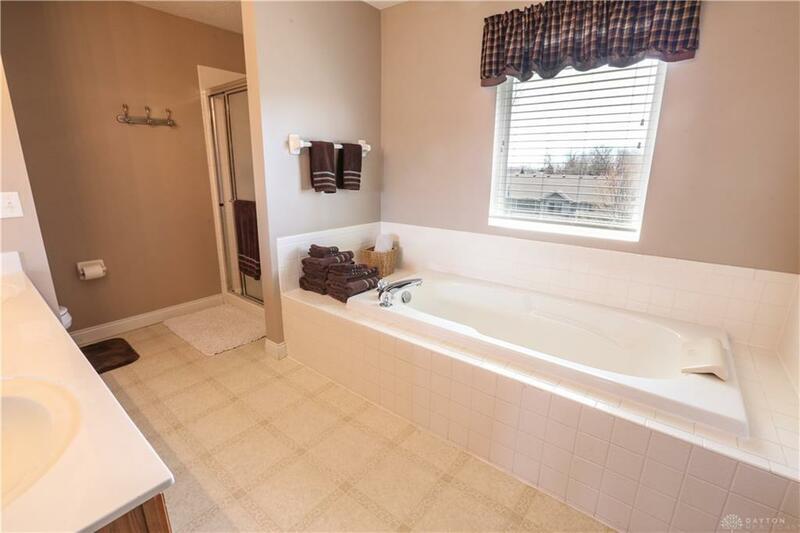 walk through the double door entrance to the Master Bath that offers garden tub, freestanding shower, double sink vanity & walk-in closet. The Full, Unfinished Basement offers plenty of space for additional storage! 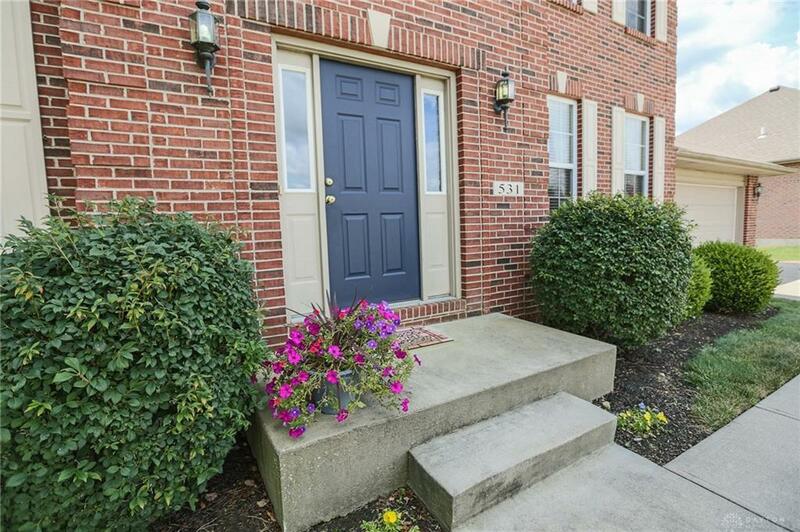 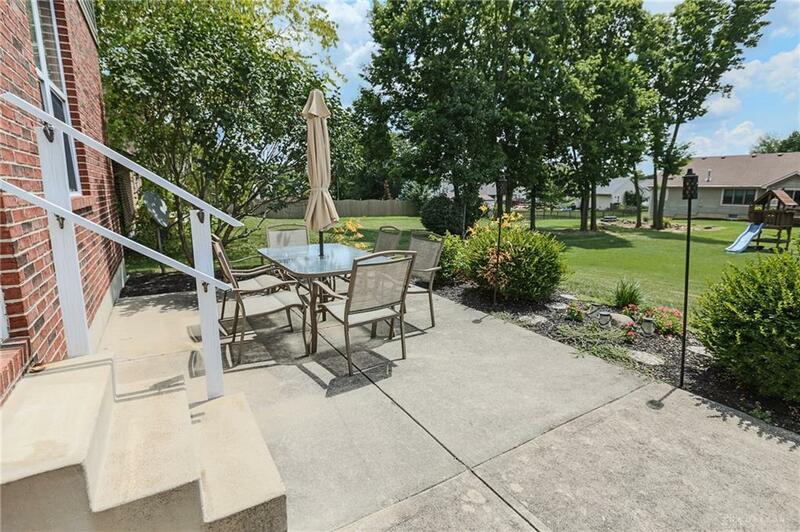 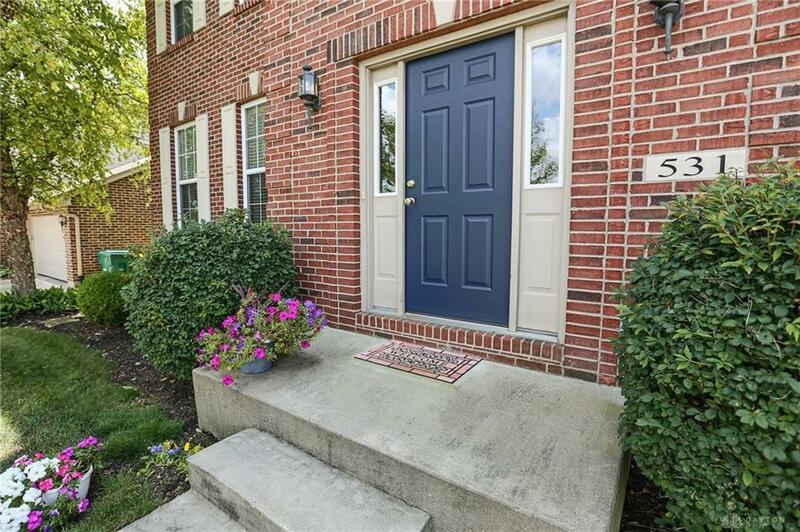 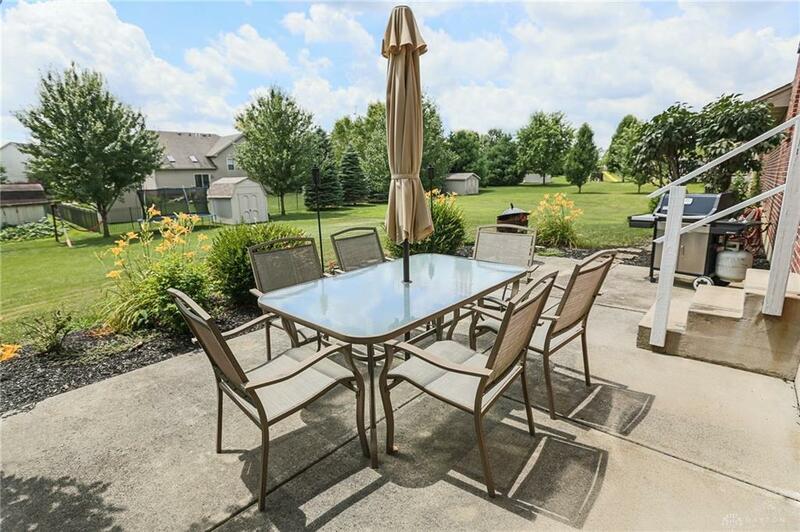 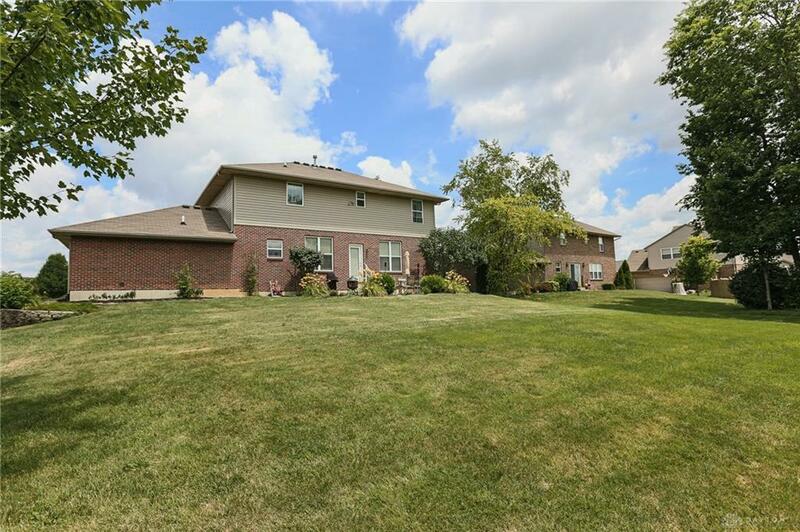 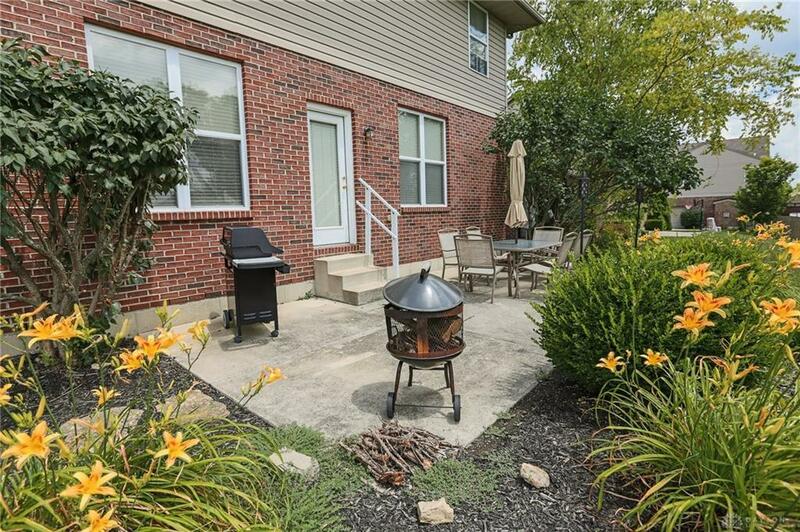 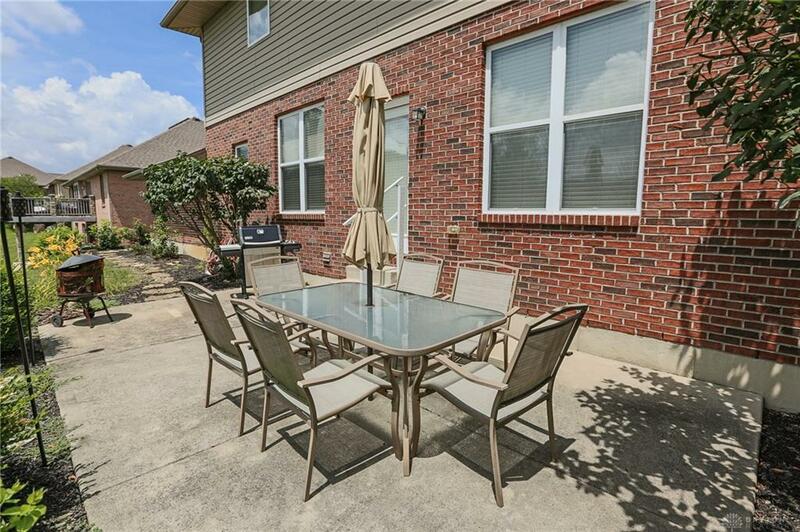 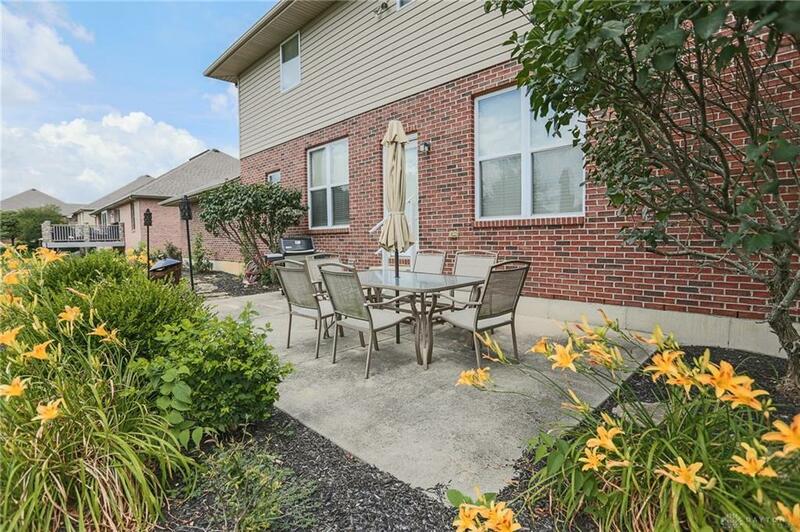 The Huge backyard is beautiful and offers plenty of green space & a spacious patio!